We have more than 50,000 audio tracks & 30,000 videos for digital platforms. We also create exclusive content for these platforms. On the Youtube Platform we have achieved a loyal and interactive subscriber base that enjoys our content which includes movies, Trailers & Scenes. Cinekorn is one of the leading premium partners of YouTube India. The You Tube channel of Cinekorn has seen Consistent growth and is a cash cow for the company since inception. Teleflick brings to all of you the succulent chatters backstage and on location shoots of popular daily soaps aired on television. Get to know a greater amount about your most loved stars from their interviews. Do not miss out on any happenings of your cherished show. Subscribe to the channel right away and always stay tuned to know what the latest is. Tele Flick has 3000 plus subscriber s and still counting. 'Bollywood Magic Masala' offers all the news in and around B-town. Get the REAL feel of the entertainment industry anywhere, everywhere. Catch your favorite stars, actors, models as they appear. Your daily dose of Bollywood at your fingertips. 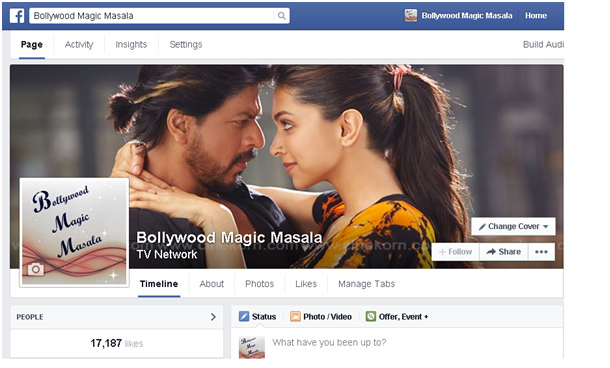 Bollywood Magic Masala has over 17,000 Likes and is a constant source of latest Bollywood Buzz. 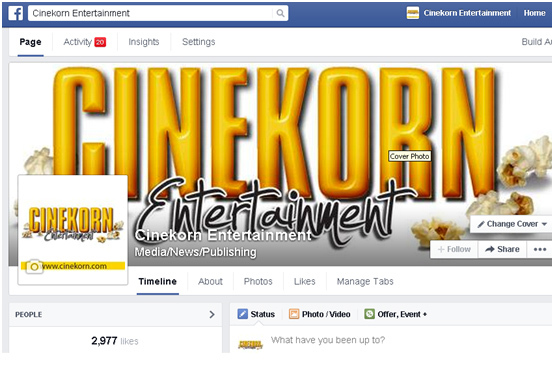 Cinekorn has a Facebook Presence with nearly 3000 fans and rapidly growing on a daily basis.